With the Samsung Galaxy S8, LG G6 and Sony Xperia XZ Premium announced the runway is now clear for HTC’s true 2017 flagship – the HTC U, or the ‘HTC Ocean’ as it’s previously been known. 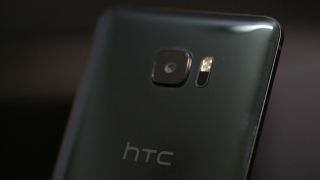 Until recently details of the phone – which is expected to be the HTC 11 in all but name - had been thin on the ground, but now we might know almost everything about it. The highlight is definitely the Edge Sensor, which has been highlighted in an image obtained by Android Headlines. The feature lets you activate different functions with a short or long squeeze of the sides of the HTC U. You can adjust how hard you have to squeeze, in order to avoid triggering things just by holding your phone, and according to the site you’ll be able to launch the camera, Google Assistant and more with these gestures. Another image, which can see in the gallery below, mentions that the HTC U will have four microphones, allowing for immersive 3D audio recording, which aims to create a surround sound effect, and Hi-Res audio, for more detailed, lossless sound recording. As usual for a HTC flagship, the Ocean will also apparently feature BoomSound and two speakers, as well as an HTC U Sonic feature, which will customize the sound profile to your ears and hearing. However, as with the HTC U Ultra there won’t be a 3.5mm headphone port. And another image reveals ‘HDR+ Scene Detection’, which isn’t fully explained in the shot, but likely means that you can see the effects of HDR before you take a photo. An almost complete specs list for the HTC U has also leaked from the same source. Supposedly the phone will have a Snapdragon 835 chipset, 4 or 6GB of RAM, a 5.5-inch QHD screen, a 3,000mAh battery which supports fast charging via USB Type-C, 64 or 128GB of built-in storage, Android Nougat 7.1 and a fingerprint scanner in the home button. None of that sounds unbelievable, in fact they’re fairly standard flagship specs and largely match up with what we’ve heard before. What doesn’t quite match up is the design of the phone in these images, as earlier leaks showed it without a home key on the front, so, as always, take this with a healthy helping of salt until we know more.